Last week I finally got around to upgrading to Adobe CS3 and I love the new user interface and could go on and on about all the great improvements but unfortunately, it’s not all peaches and cream. 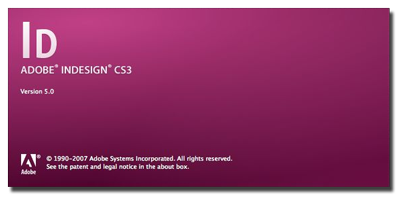 During the production of InDesign CS3, it seems that a crucial 3rd-party plug-in called InBooklet SE was removed from the market because its maker had been purchased by Quark, Adobe’s key competitor in the document publishing market. Quark’s decision to discontinue the development of InBooklet SE was the business equivalent of kicking Adobe in the nuts. But you came here for a way to fix your problem didn’t you? !